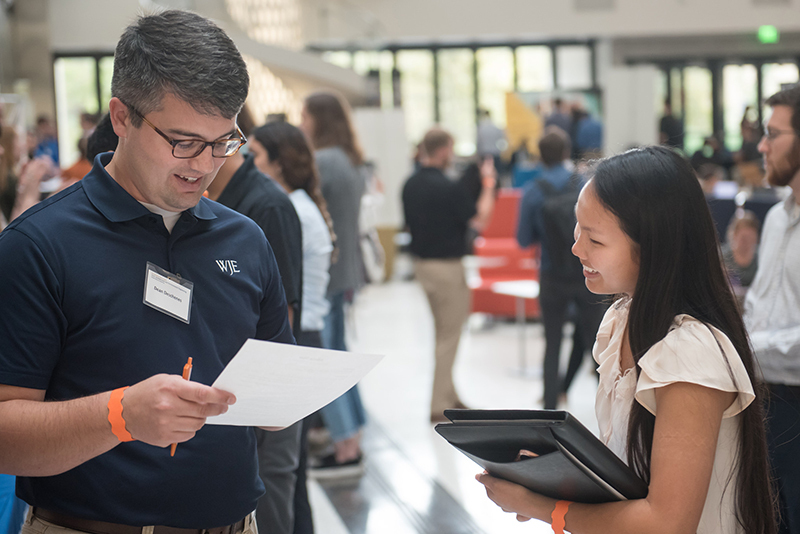 There are more than 6,000 undergraduates and 2,000 graduate students enrolled in the Cockrell School of Engineering, all eager to apply their skills and experience toward solving real-world problems. View our Info for Employers page to learn more about on-campus opportunities, recruiting students for co-op and intern positions and externships and to review the recruiting policies. Additionally, organizations can support student organizations and programs to help build their presence in the Cockrell School and maximize their recruiting efforts.